This information is excerpted from an AARP article (sadly, I’m a card-carrying member), and I thought it was too good not to share. 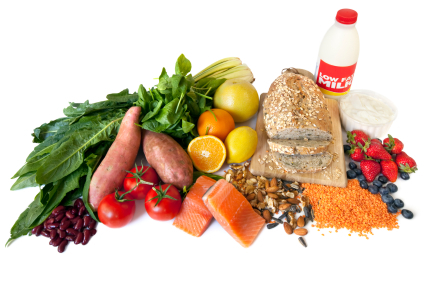 Add these foods to your diet to improve memory, lower blood pressure, boost immune function, and more. Coffee is loaded with antioxidants and can protect against cell damage, reducing your risk of diabetes, heart disease, and stroke. Wild Salmon is full of heart-healthy omega-3 fatty acids and helps prevent premature aging and premature death. Kale is rich in vitamin K (essential for blood clotting) and lutein, which reduces the risk of cataracts and other eye disorders. Avocados improve overall hormone function. Basil and mint may boost the immune system. Olives and olive oil lower blood pressure, cholesterol, and stroke risk. Green tea protects cells and may reduce the risk of certain cancers. Dark chocolate can decrease blood pressure and cholesterol levels. Asparagus contains potassium and vitamin B12, important for cell repair and maintenance, and can protect against hearing loss. Pomegranates can help keep the cardiovascular system healthy. Garlic can help protect against heart attacks and strokes. Yogurt is good for the gastrointestinal tract, and can reduce the likelihood of developing high blood pressure. 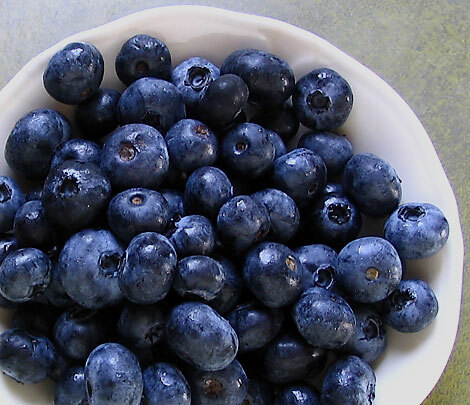 Blueberries can reduce heart attack risk and help protect against memory loss. This information is excerpted from an AARP article (sadly, I’m a card carrying member), and I thought it was too good not to share. Add these foods to your diet to improve memory, lower blood pressure, boost immune function, and more.